DELTA! is one of The TV Ratings Guide's first ORIGINAL SERIES, an original feature ONLY on The TV Ratings Guide. Delta Fleming, a thirty-something Chicagoan currently working as a lounge singer at the creatively named Chicago lounge owned by her ex-fiancé, The Lounge, is just finishing up her set for the night. Delta: That’s all I got for you tonight, as always, thanks for coming out! Lounge Patron: Will you be back tomorrow? Delta: You know it, Louis! Louis (slurring his words): See you then. Delta rushes off to a table near the back of the Lounge and sits down. Delta: Wow guys, tonight was a rough day. There were three people here at any given time! That’s it! Her stepfather, Charlie, tries to give her some advice. Charlie: Well Delta, you can’t win ‘em all. Delta: Actually, this was the biggest crowd of the day. I don’t know why I stay here. Charlie: Because loyalty means so much to you! You don’t need to stay but you do. 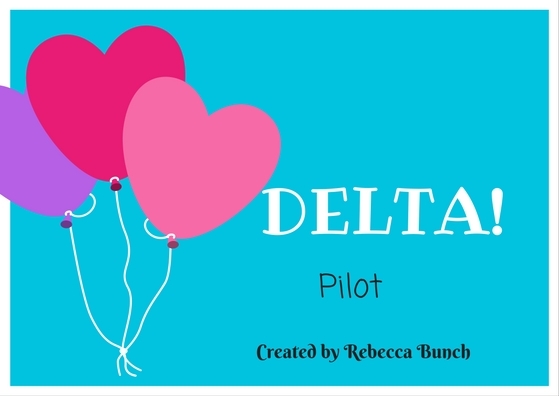 Delta: It’s nice that you think that’s why I stay. Charlie: It’s not the truth? Delta: Ha! No. Rick broke my heart and I hope he falls into a ditch. 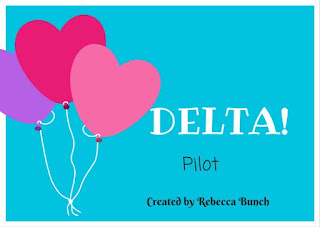 Delta: It’s true! He needs to pay! Charlie: I’m sure you’re just hurt. The wound is very fresh. Ariana, Delta’s best friend, interjects. Charlie: You can call me Charlie. You’ve known me since you were 11. Ariana: Sorry. Force of habit. I mean, you were my 7th grade English teacher. Ariana: Still fresh in my brain! Anyways, back to the real discussion here. That “man” ruined our girl’s life. She needs revenge. I say dropping dead in a ditch isn’t enough! Delta: I didn’t say I wanted him to die in the ditch! Ariana: Well maybe I do! Charlie: Maybe you guys shouldn’t be saying this at his restaurant. You know, the one that employs *points to Delta* you even though nobody else wanted to. Delta: Well that’s just mean! Charlie: Well sorry! I just don’t want you to lose your job because you’re saying you want your ex-fiancé to fall into a ditch! Just then, Rick walks by. Rick: What was that about a ditch? Charlie: I was telling them about an episode of Dateline. It really upset me. Me and good ‘ole Marilyn watched last night and I can’t stop thinking about it! Rick: Okay… I gotta go now. Jamie, Delta’s friend and former neighbor, speaks up for the first time. Jamie: Get outta here, you jerk! Rick walks away after an increasingly strange conversation. Jamie: Well that went well. Charlie: I think maybe we should all just cool it. We should talk about happier things. Delta’s brother Damien, the only other person at the table, finally looks up from his phone and says something. Charlie: I don’t know, we’re all alive and well. Jamie: I don’t really think so. I mean, Delta works at her ex’s lounge and we’re all sitting at said lounge, talking over a plate of really gross and mushy potato skins. Our lives aren’t great. Charlie: It could be worse. Delta: Can we just leave. We can just go back to my place. Charlie: Don’t you mean my place? Delta: I pay rent! It’s my basement! Charlie: Fair enough. Let’s go. Ariana: Can you give me a ride? I took the bus here from work and it smelled like a goat on there and a lady was scratching her legs for the entire half-hour ride. Those legs were red. They looked like rhubarb! Charlie: Sure Ariana, just hold on and let me go to the bathroom. Ariana: I still see those rhubarb legs why I close my eyes! Charlie: Are you even listening? Delta: Of course not. ARIANA YOU CAN GO WITH HIM!!! Ariana: Oh, sorry. I’m still traumatized. Thank you Charlie. Delta: He’s not even here right now. Ariana: Oh, he already went out? Delta: I’m honestly scared for you. Jamie: He went to the bathroom, dear. Delta likes to go for the dramatics, but I like to be nice. Damien: Well I’m gonna go. I don’t have any of your strange problems. Delta: Strange? You mean like waiting for your other friends? Damien: Yeah, that. Really bizarre. Anyway, see you in about a half hour. Damien rushes out to his car and soon gets a phone call. Damien: Hey Bill. What’s going on? His boss, Bill, is on the other line. Damien: Bill, what are you saying? Bill: I couldn’t save your job. I’m so sorry, but we have to let you go. You’ve done great but our branch is closing and the company didn’t select you as one of the five they’re relocating. Bill: Damien, it’s over. Come get your things tomorrow. Damien: I loved this job. And it was the only thing keeping me from losing my apartment! I just… I can’t imagine what this is gonna do to my life. Bill: You can get another job. Damien: Can I? I don’t think it’s so easy and I need money now. I have nothing. Bill: Bye Damien. I truly am sorry. Damien starts sobbing in his car. Damien: I can never tell my family. They’ll just pity me. Back in The Lounge, Charlie finally gets out of the bathroom. Delta: So, you had a political conversation in a bathroom and that’s why you left us waiting for 15 minutes. Charlie: Yep! He was very intriguing. Delta: Yeah, and you also met him in a bathroom. Charlie: He may not have been the most sane, but he really was very nice. I think I’ll vote for him. Delta: This is a great decision. Always vote for a random guy you meet in a bathroom. Charlie: I think it’s a pretty smart decision. strange. I think he might be annoyed with us or something. Charlie: I agree. We shouldn’t keep him waiting. All four make their way out to their cars to drive to Delta’s. In her car, Jamie makes a phone call. Jamie: Hey, Rick. I just wanted to apologize for yelling at you today. Just wanted to make sure you knew that. Rick: Jamie, you didn't have to do that. I know you weren’t really calling me a jerk. Also, that’s not a very insulting insult. Jamie: You never know. You might have woken up on the wrong side of the bed today. Rick: Well I didn’t. And you would know. You were there. Jamie: I guess that’s true. You were in a pretty nice mood I guess. Anyways, I mainly just called because I wanted to talk. I’m going to Delta’s so I can’t talk long, but I really just had to hear your voice. Rick: Here’s my voice, listen to it. Rick: My feelings! They’re so hurt! Jamie: At least you’re a jerk that I love. Meanwhile, Ariana is hitching a ride with Charlie. Ariana: So, uh… where should I sit? Charlie: Wherever you want to. Ariana: You have binders everywhere. This car’s a mess! Charlie: Just throw those back. Ariana throws the binders back and sits down. Ariana: Ouch! What was THAT? Charlie: You probably sat on a tack. Ariana: Why would you have a tack in your car? And on your front seat? Charlie: I’m a professor! I need them to hang my inspirational cat posters! Ariana: Do you teach first grade? Charlie: They don’t have first grade professors, Ariana! I’m a college professor. We’ve gone over this. Ariana: Oh, must have not cared. Anyway, I’m just gonna get a ride with Jamie. She has seat warmers anyway! Charlie: Bye! See you in a half hour! Ariana: Bye and thanks anyway, I guess. Ariana runs to Jamie’s car just in time. Ariana (yelling): Can I come in? Jamie (on the phone) I gotta go. Bye! Rick: Love you, bye. And be safe with Ariana, she’s crazy! Ariana: So… Who were you talking to? Jamie: Just a friend. We’re meeting for some drinks tomorrow. Ariana: Tomorrow? On a Thursday? That’s TGIT! Ariana: He? Oooh, I think my girl Jamie is getting some action!!! Jamie: Ariana! A lady never tells! Ariana: So it IS true! Jamie: You wouldn’t know him. He works with me. Ariana: Oh. Well, I wanna meet him! Jamie: It’s not even serious. i don’t want to get anyone else involved! At Delta’s, Damien is waiting for the others to arrive. He knocks on the door for his mother to answer. Damien: Mom! Open up! Come on! Damien: Oh, my life is just going great today! First my financial situation falls apart and now I get to sit in the Chicago suburbs on a below freezing day because my friends are slowpokes! Delta: I’m here. And why are you in such a bad mood? Delta: Calm down. You’re not a grandmother of three named Barb! You’re gonna be alright. Damien: Okay. No need to be so mean! Delta: You're so sensitive today. There’s something going on. Damien: Nothing is going on. Delta: You can tell me. I’m your big sister. Damien: Yeah, by ten minutes. Delta: I’m still older! Now let’s go inside before you freeze, grandma! Jamie and Ariana arrive next. Ariana: Alright, give me a name and I’ll look him up on Facebook. Ariana: George Glass? Sure Jan.
Jamie: Well come on! I’m clearly not telling you. Take a hint! Ariana: Fine. But I’ve got private eyes, and they’re watching you. Jamie: Let me guess. They see my every move? Charlie arrives just as the ladies are walking in. They all rush downstairs and begin their daily discussion, in private this time.